Within horticulture and botany, the genre of biography (including autobiography) is a popular one. Three new biographical titles are available for check-out in the NYBG Mertz Library and merit consideration. 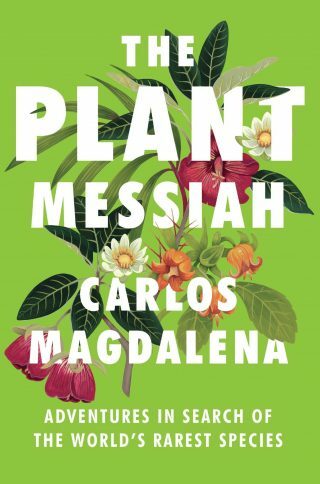 The Plant Messiah: Adventures in Search of the World’s Rarest Species is a memoir by Carlos Magdalena. Currently the Tropical Senior Botanical Horticulturist at the Royal Botanic Gardens, Kew, he was recently profiled in an excellent piece by People of London about his work with plant propagation and conservation. The Plant Messiah chronicles Magdalena’s trials and successes with propagating rare and endangered plants. His passion is sure to resonate with those who love plants and value biodiversity. A graduate of the Kew Diploma in Horticulture program, Magdalena’s experiences with “rescuing” species from the brink of extinction are fascinating and, at times, emotional. The text has a few minor errors (for example, type specimen receives a simplistic and technically incorrect definition), but they do not detract from the overall narrative. Readers will hold their breaths as attempts to propagate specific plants fail at first, but ultimately succeed. This memoir is best enjoyed by those who have some knowledge of plants (and can take some errors in stride), but even the general public will enjoy the adventure. 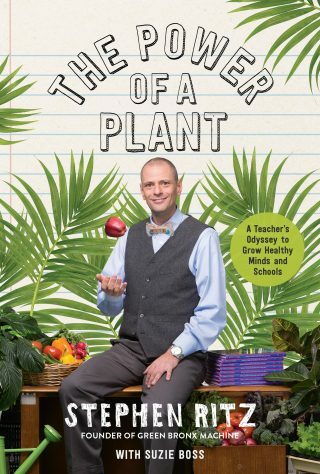 In The Power of a Plant: A Teacher’s Odyssey to Grow Healthy Minds and Schools Bronx teacher Stephen Ritz chronicles his journey of teaching students to grow and use plants in the classroom. Mostly a personal memoir shot through with inspirational anecdotes, The Power of a Plant is an interesting book for educators and gardeners alike. Ritz asks, “What if we taught students that they have as much potential as a seed? That in the right conditions, they can grow into something great?” These are the kinds of questions that inform NYBG’s own Edible Academy. Throughout his tenure, Ritz worked with students of varying age groups, although the classroom garden suggestions that are included in his appendices are most appropriate for a grade-school audience. Other books may offer more in the way of horticultural guidance and information about classroom and school gardens, but Ritz’s philosophy of teaching—the philosophy which underlies this work—is interesting and inspirational for educators and a more general audience as well. For those who live, learn, and eat in the Bronx and beyond, The Power of a Plant offers food for thought. 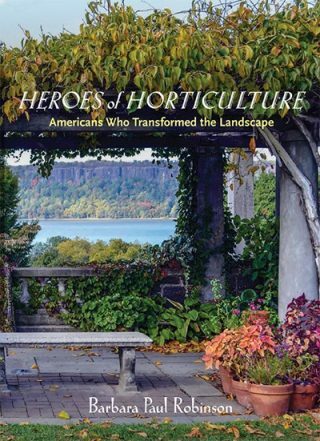 Finally, Heroes of Horticulture: Americans Who Transformed the Landscape is a collection of biographical sketches from gardener, writer, and NYBG Board Member Barbara Paul Robinson, who is also the author of Rosemary Verey: The Life & Lessons of a Legendary Gardener (2012). Robinson defines a hero as “someone noted for great or brave acts, for nobility of character, a person whose special abilities, achievements, and personal qualities serve as a role model or ideal.” She continues, “The eighteen people profiled in this book are my own pantheon of heroes of horticulture—all Americans who have had a major impact on the landscape around us.” A gifted writer, Robinson considers all the parties profiled in Heroes of Horticulture to be personal friends. The categories into which she has separated the eighteen profiles are: The Garden Conservancy; Public Parks and Public Spaces; Public Garden Institutions; Plantsmen, Plant Finders, Nurserymen; and Garden Creators. The full list of all eighteen people can be viewed in the library’s catalog record. A well-written and intimate collection, Heroes of Horticulture will be best enjoyed by those who have particular interests in the heroes mentioned—Gregory Long, President Emeritus of NYBG, being one example—and by those who are interested in learning more about the American tradition of horticulture in the late 20th and early 21st centuries.